One of the most popular saying ever is that ‘behind every successful man there is a woman’. And that, in fact, became the complete truth in this compelling, full of twists and intelligently written film “THE WIFE”. Glenn Close’s Joan Castleman travels to Stockholm to witness her husband receive a Noble Prize in Literature. 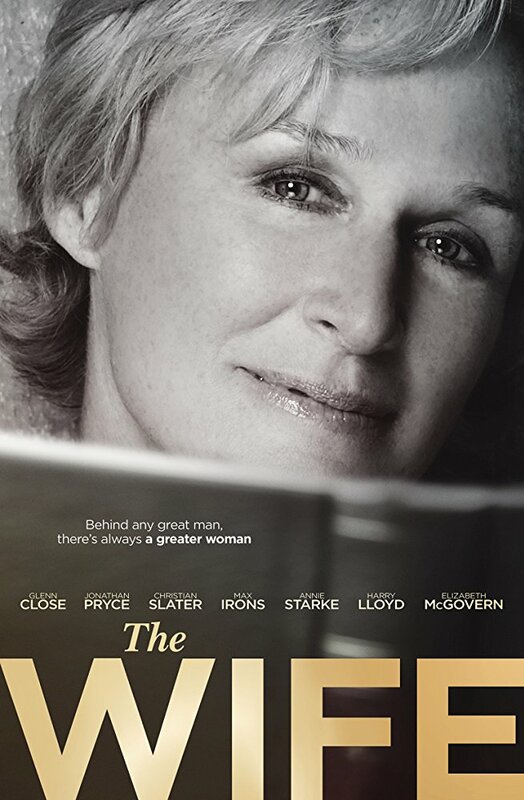 Based on Meg Wolitzer’s novel and the screenplay written by Jane Anderson, THE WIFE touches upon a very important question of why certain people, in this case, a husband came to the point to celebrate the biggest achievement in his life and the presence of his wife, who seems as proud as himself. Through long dialogues, and the flashbacks, the viewer is left to follow the life of two people in the past and present in great silence, to be stumbled, stunned and even left speechless in the end. With full of twists, THE WIFE is a wicked and sometimes very brutal film to watch… The dialogues are heartbreaking and thoughtful at the same time. Exceptional performances delivered by Glenn Close and Jonathan Pryce delivers a complete joy, as a reminder, why the importance of existence of old school is bigger deal that we all can imagine. This film can be easily used as a allegory for every woman; for their intelligence, patience and loyalty. Because at the end of the day, if the man wants to retain his clear and impeccable reputation, there is only one person he should always rely on – the wife.